(Chris Detrick | The Salt Lake Tribune) Jon M. Huntsman, Jr., U.S. Ambassador to Russia, talks with family and friends during an Ambassadorial Swearing in Ceremony at the Utah Capitol Saturday, October 7, 2017. Washington • U.S. 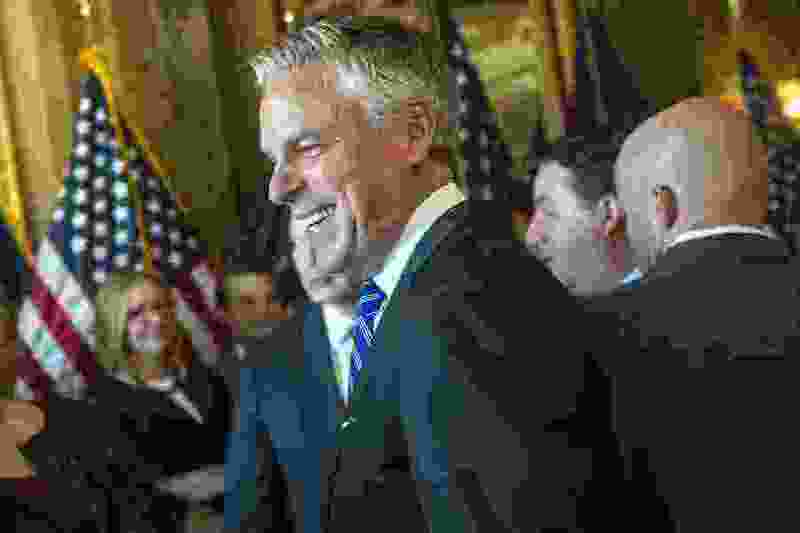 Ambassador to Russia Jon Huntsman has been diagnosed with early-stage skin cancer and has been treated at a cancer hospital in Salt Lake City founded by his family. Huntsman, a former Utah governor, flew to Utah a few weeks ago to seek treatment at the Huntsman Cancer Institute for Stage 1 melanoma. Huntsman is hopeful the doctors removed all of the cancerous cells. Stage 1 skin cancer is diagnosed as “no larger than 2 millimeters thick and/or an ulceration,” according to the institute, founded by Huntsman’s father, Jon Huntsman Sr. The Deseret News first reported the news. Gov. Gary Herbert, who was Huntsman’s lieutenant governor running mate and succeeded him as Utah’s chief executive when he became the U.S. ambassador to China in 2009, tweeted his concern about the diagnosis. “Sorry to hear about the health challenges of my good friend, @JonHuntsman, who has taught and continues to teach me so much about honorable public service,” Herbert tweeted. Cancer has attacked Huntsman's family for generations. Huntsman’s father died in February at age 80 after the elder philanthropist had fought against several onsets of cancer in his life. Huntsman Sr.'s mother died of breast cancer in 1969 and his father died of prostate cancer in 1990.